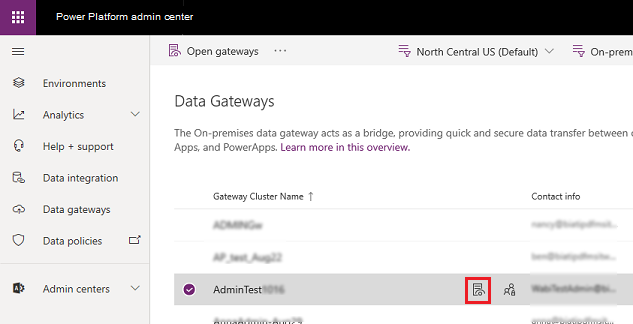 The On-premises data gateway acts as a bridge, providing quick and secure data transfer between on-premises data (data that is not in the cloud) and the Power BI, Microsoft Flow, Logic Apps, and PowerApps services. 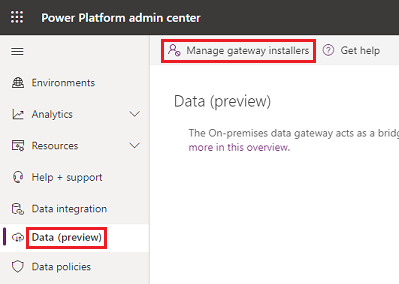 You can use the Power Platform Admin center to get visibility into all on-premises data gateways in a tenant. To do so, sign in as a tenant admin and select the Data Gateway option. Only users who are part of the Azure AD tenant Global administrator role (which includes Office 365 Global admins) will see the Data Gateway option. Gateway Cluster Name: The name of the gateway cluster. Contact Info: Admin contact information for the gateway cluster. Administrators: The list of gateway administrators. Gateways: The number of gateway members in the gateway cluster. The gateway cluster list includes both On-premises data gateways and On-premises data gateways(personal mode). 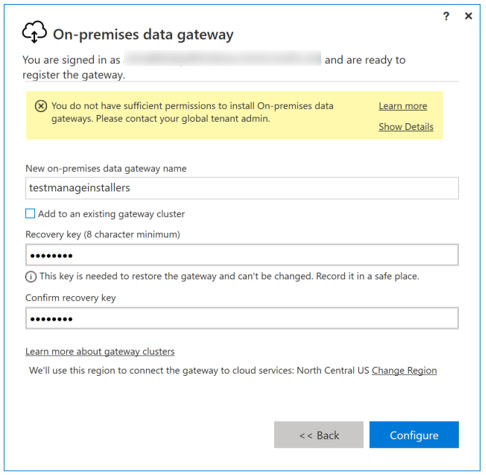 On-premises data gateways in non-default environments/regions are currently not included. Select the Open in new window icon ( ) next to the gateway cluster name to see the gateway members, device name, and version in each gateway cluster. Select the People icon ( ) next to the gateway cluster name to see the list of gateway admins. Add or remove gateway admins in the Manage Administrators page. For personal gateways, this would show the owner of the personal gateway and cannot be changed due to the security scope of personal gateways. Use Search to find gateway clusters and see their details. You can search for gateway cluster names and contact info, but not administrators. As a global admin, use Manage Gateway installers to manage who can install the On-premises data gateway in your enterprise. Go to the Power Platform Admin center. Select Data Gateways from the left-side menu. 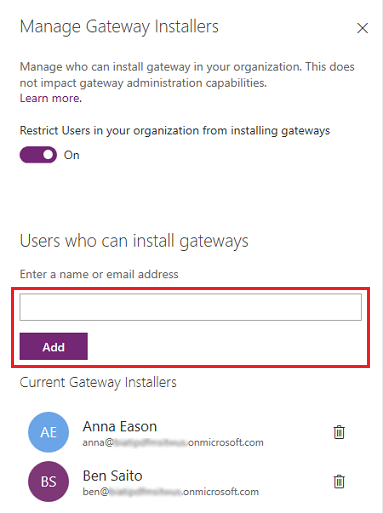 Enable Restrict Users in your organization from installing gateways. This option is off by default allowing anyone in your organization to install gateway. Add users who can install gateway, and then select Add. 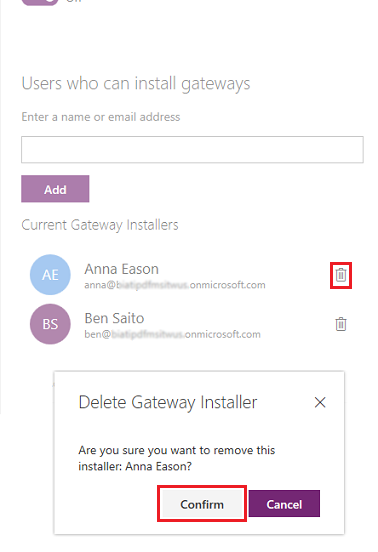 To remove users who have permission to install gateway, select Remove installer ( ), and then select Confirm. This does not impact gateways which are already installed. This feature only allows or restricts users from installing gateways going forward. If a person who doesn’t have access to install gateways tries to install one, they will get the following error once they provide their credentials during the gateway registration.